Welcome to this two minute HR Blast. 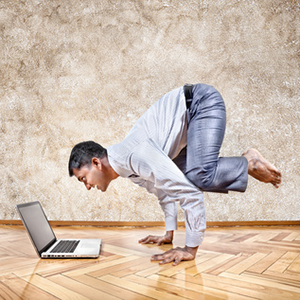 With changes to flexible working effective from 30th June 2014, the topic this time is all things flexible! Please do circulate this to your line managers as the more they know, the more confident they will be to handle staffing issues. Anyone will be able to make a flexible working request, providing they have 26 weeks continuous service and haven’t made another request within the last 12 months. Previously flexible working rights were just for those with a child aged 17 or under or with a disabled child under 18, or who was a carer. The timescales have changed. There are no longer rigid timescales for making and responding to the application, meeting and appeal. Instead the process just needs to be completed within 3 months (including any appeal), unless you mutually agree to extend this period. The new rules recommend as best practice that the employer allow the employee to be accompanied at the flexible working meeting by a work companion (no need to invite Trade Union representatives). Previously this was a mandatory requirement – applicable to all requests made before 30/6/14. The new rules are more relaxed than the previously strict procedure that had to be followed. New ACAS code of practice specifies that employers need to handle flexible working requests in a reasonable manner. The process used (i.e. invite to meeting, meeting, outcome and appeal) is exactly the same, but they have used the word ‘should’ throughout the code of practice, meaning that you ‘could’ deviate from the process if you have a fair reason to do so, assuming you have followed a fair process. Employees thinking that they have the right to work flexibly, when in fact they only have the right to request to work flexibly. Employers often think that they have to allow the flexible working request and not understanding that their obligation is to go through the process and consider the request, but they are under no obligation to agree to it, if the business cannot accommodate the request. Myths around precedents and thinking that because they’ve allowed other people to work part time they need to authorise every flexible working request they receive. Managers being nervous to say no to flexible working requests and therefore allowing them, or allowing temporary arrangements instead giving employees false hope when they should really just be saying no in the first instance. Employers forgetting that they need to mention 1 or more of the 8 fair business reasons (read on for these) when rejecting an application, e.g. sometimes employers trip up by thinking that a position has to be a full time position and focussing on the need for a full time person when they explain their decision, in fact they should be focussing on the business needs and why they cannot be accommodated by anyone who works less than full time. Employers thinking that they need evidence to back up their decision to reject an application e.g. proof that no one else will do a job share, when in fact they just need a thought out decision that cites one or more of the 8 fair business reasons. Employees and employers often think that they will change their hours e.g. change them back to full time once their children go to school – and in fact the change is a permanent change and there is no obligation to make any changes at a later date. Don’t be bulldozed into agreeing anything. Don’t reject out of hand a request without considering it properly and formally. Don’t agree anything on the spur of the moment in a performance review, in the lift, in the car park or whilst strapped to your employee as you sky dive from 10000 feet on a company team building day. Don’t think employees’ have the upper hand. Do your research and ensure both parties are equally knowledgeable about the process and individual rights. Don’t be mentally inflexible, just because you couldn’t see flexible working last year doesn’t mean it couldn’t work this year… life, attitudes and technology really have moved on. Don’t make a rod for your own back by agreeing to anything that you know will probably cause problems further down the line. Good at what you do, but you’ve simply run out of time? Perhaps Jaluch can help? Exit interviews for when you decide you really want to know why someone is leaving!